Visit Massage Warehouse for all your tanning & waxing needs! Visit www.massagewarehouse.com or call 888.918.2253 to place your order. 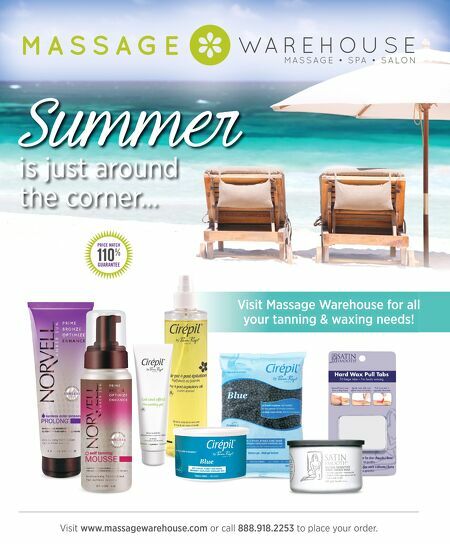 Summer is just around the corner... Visit Massage Warehouse for all your tanning & waxing needs!